3. In “Email Blacklist”, key in the email address you want to block. 4. 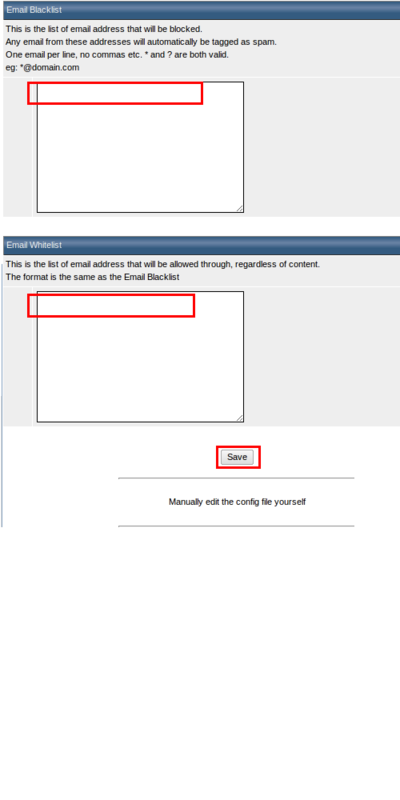 In “Email Whitelist”, key in the email address you want to allow even its blocked by our RBL. 5. Click on “Save” to save your configuration.